The only stadium on the planet made entirely of marble, the Panathenaic Stadium in Athens could compete with the wonders of the ancient world for the prize of greatest spectacle. It also stands as a testament to the way in which Greece’s recent history has built upon its illustrious past. The stadium was first constructed in the 4th century BC for the Panathenaic Games – a combination of religious, sporting and cultural celebrations. It soon has its capacity increased but eventually fell into disuse. An excavation of the site during the 19th century began an extensive rebuilding project. Eventually, the Panathenaic Stadium hosted the first modern Olympic Games in 1896. Its iconic hairpin structure was placed on the world stage again when Athens hosted the Games in 2004. At that point, it was frequently filled to its current capacity of 45,000. Nowadays, visitors are as likely to visit the stadium to watch a concert by a global or Greek megastar as they are to witness competitors cross the finish line in the annual Athens Marathon each November. 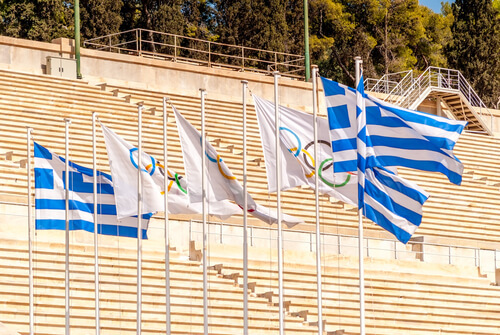 The Panathenaic Stadium retains a central role in the Olympics, too – every four years it is the site on which the Olympic flame is passed on to the next host country. Built outside the original city walls, it is located to the south of modern Athens – easily accessible by bus and less than one kilometre from the metro stations of Syntagma, Acropolis and Evangelismos. General admission costs €5 (AU$8), which includes an audio tour guide available in 11 languages. The vast, open structure of the Panathenaic Stadium means that you’ll feel the heat during the summer months. During that period, visitors are advised to bring water and sun protection. In the autumn and winter, the stadium’s marble structure can also be affected by rainfall so be sure to wear footwear with enough grip to climb its historic steps. Once you’ve scaled the heights, the panoramic views make for great photo opportunities. From an elevated vantage point inside the stadium, it’s possible to capture stunning vistas from the Acropolis to the Temple of Olympian Zeus. There’s also the opportunity to get some exercise and run on the same track as the world-class athletes of today and yesteryear. Particularly active holidaymakers can join the morning jogging session from 7.30am-9am daily. Once you’ve satisfied your inner Olympian, feel free to take a well-earned rest and recharge at the stadium’s café. Afterward, seek out the other points of interest including the ancient parapet, vaulted passage and royal boxes, all of which have been preserved since it was rebuilt. For a more comprehensive history, the on-site Olympic Museum is a great resource. 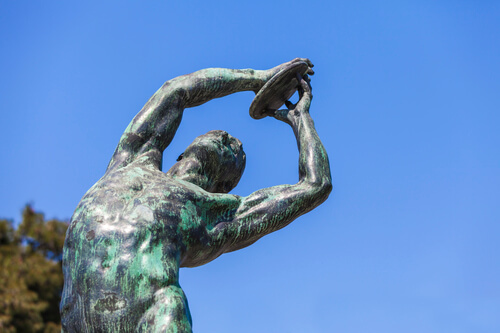 Through its permanent collection, the museum documents both the history of the stadium across three millennia and the iconic history of the Olympic Games. In keeping with tradition, it’s built entirely out of marble, too.